Raven Security Updates - Dominion Studios Ltd. This new update to Raven Security will address some issues and fixes with Raven Security. Launching scans and updates from the system tray icon are now released! Here are the main changes in the list below. -Changed code to start Raven Security faster. -Fixed a bug that caused the database update message to appear behind the launch form. -Fixed an issue that caused the tray icon to create multiple icons. -Fixed an issue that caused the tray icon to not dispose correctly. We hope that Raven Security is working great for you, if you have an suggestions or want to add in your thought in the development process be sure to post in the feedback thread here. Raven Security has a special offer on us! Launch Raven Security for a free Bronze Subscription! With this free subscription you can also get a database update! If it you don't get an update message please check for updates in the "Updates" tab. *Offer is only available over the weekend! Raven Security has a new patch out and is ready to be downloaded! To get this latest patch, run Raven Security. If you do not get the update message refer to the "Updates" tab to check for a update! You can see all the updates in the list below. -Added a more visual apperance when downloading server data. -Adjusted values to help gather update info faster. -Fixed a bug that caused some files to not be scanned. -Fixed a rare bug that caused Raven Security to freeze. -Fixed a memory leak bug on "Rootkit" and "Speed" scans. -Fixed config code to handle error messages with the JITDebugger on the client machine. Raven Security has a new patch out and is live! You can get this patch by launching Raven Security. If you do not get a update message, try to check with the "Updates" tab. 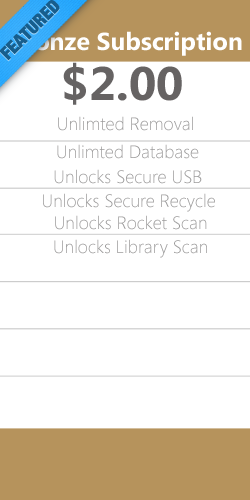 In this update, Raven Security now has some recommendation software in the "Extras" tab and some other minor fixes. You can see the changes below! -Added recommendations in the "Extras" tab. -Removed "Silver Subscription Offer" on the "Offers" tab, lookout for other offers. -Added options to scan from tray icon. -Added tray icon activity text. -Added an "On, Off" switch for Real Time Detection. -Adjusted the response time between server and client. -Adjusted code to recall all server data when using the "Refresh Server Data" button. We are aware of the issue when launching Raven Security on Patch 2 (1.4.0.0). The dialog appears with the following error. Raven Security has a new patch out and is ready to be downloaded! You can get this latest patch by running the updater.exe in the install folder for Raven Security. We are sorry that we promised that you will not have to manually do this step for this next update, but we could not include it just yet. We made this post to let everyone know that we have found the issue with the installer and have remade the installer for Raven Security. We are testing it now and are making sure that it runs correctly. I hope that you install the next patch for Raven Security it will be out soon! Raven Security has a new patch out and is ready to be downloaded! You can get this latest patch by running the updater.exe in the install folder for Raven Security. Next update will feature a better way to access the updater within Raven Security instead by doing update checks manually.